​The NBA preseason just kicked off on Monday night, and the drama is already getting started. Philadelphia 76ers center Joel Embiid continued his ​year-long tradition of trash talking his opponents. 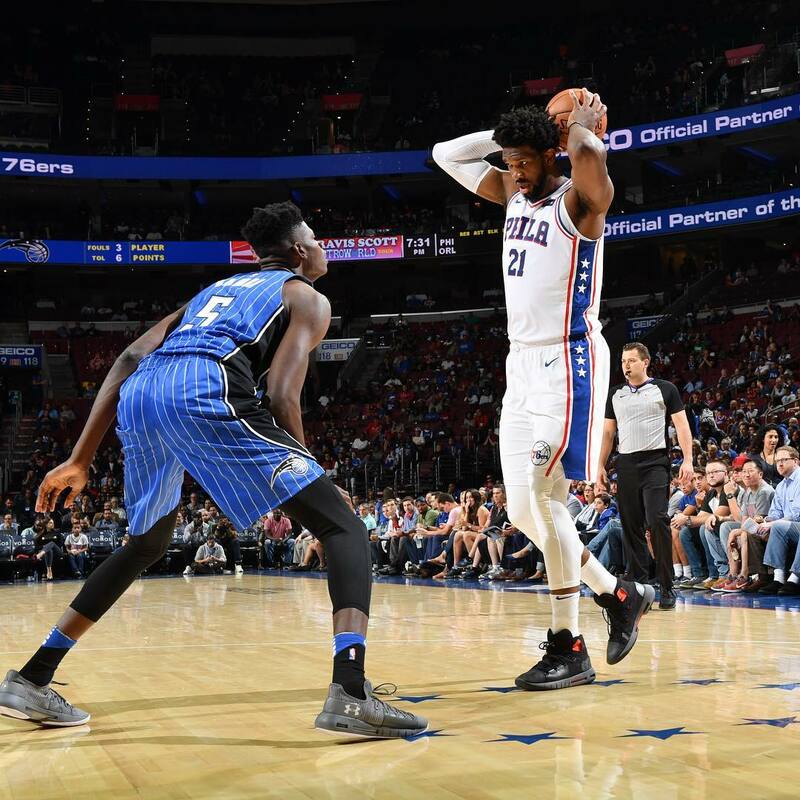 His first target of the preseason was​ fifth-overall pick Mo Bamba of the Orlando Magic, who guarded Embiid for the majority of the game. The 76ers star took to Instagram to take a shot at Bamba, saying he couldn’t guard him. The rookie would show he was no pushover, where he took a shot at Embiid in an Instagram post of his own, showing himself taking on the Philadelphia center in the paint. ​​”‘Welcome to the ******* League Mo.’ ,” writes Bamba. The rookie learned something on Monday night, and that’s the social media warrior in Embiid does not back down from a fight. Embiid commented on Bamba’s post, saying he would have fouled him out if he played longer in the game. It appears to be friendly jabbing between both NBA big men. Embiid did have the last laugh on the stat sheet, however, as he recorded 21 points and seven rebounds in 23 minutes, as compared to Bamba’s 12 points and three rebounds in 17 minutes. As we know in the NBA, the drama garners a larger audience. Make no mistake about it, there will be plenty of viewers on Oct. 20 once the 76ers and Magic meet again in the regular season.